Does anyone recognizes this baby and knows what it’s name is. I just got it, at the local orchid show, but didn’t realize that it doesn’t have a marker, so I didn’t ask. It’s pure white, with fine pink stripes about 3” in size. The leafs are medium green. If it is a 3" flower, Yu Pin Fireworks (YPF) is probably the best bet. But it looks smaller and then it might be Tying Shin Swallow or Tying Shin World Class. These two are similar, to YPF, but tend to bunch more on the spike, and are offspring of YPF These are alsotwo crosses being supplied to growers in Apopka. Hi, I would send a photo of it to the grower so you don’t end up with an “orphan”. That being said, I purchased a similar plant, in pink, at the Fort Lauderdale Orchid Society Show in January 2019. I thought it had a made up name as some plants do, but it turned out just to be misspelled. The name is Phal. Yu Pin Fireworks. Then I went to the AOS awards and found it has been awarded 9 times, and several of those were white like your plant. But ask whoever you bought it from before they forget. 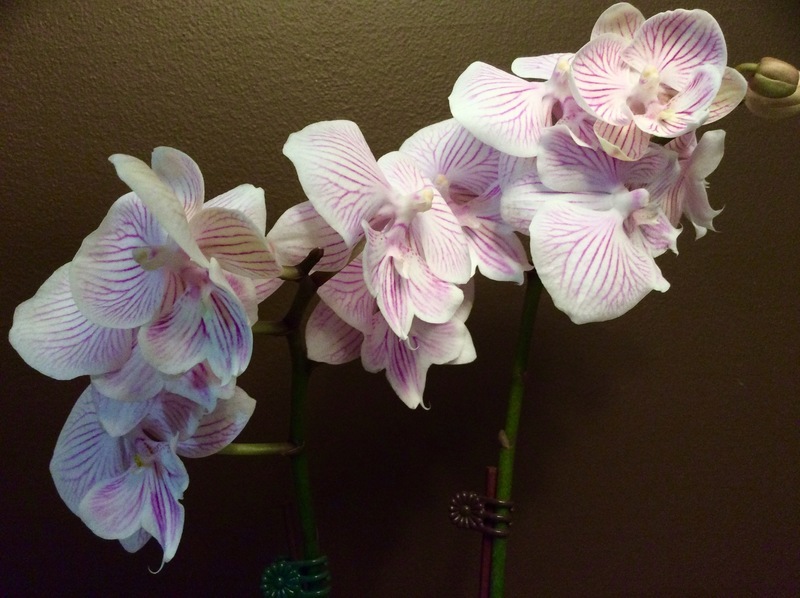 Names, especially for Phalaenopsis are made up, misspelled or wrong sometimes.